The latest Samsung Galaxy A5 (2017) offers a thinner than ever casing at just 71.4mm thick, beautifully complimented by its slightly curved build. Offering a water-resistant protection with IP68 certification, your device can safely be submerged in 1.5m of fresh water for up to 30 minutes. 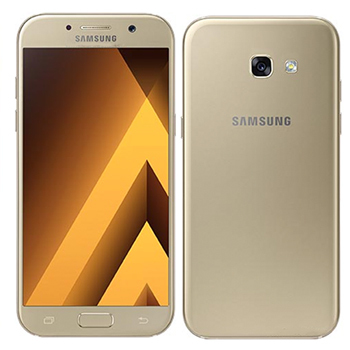 Housing not one, but two 16 megapixel cameras, the Samsung Galaxy A5 (2017 edition) is jam-packed with great features to take your photography game to the next level. Capture the moment with 1080p video at 30fps, our the perfect selfie or video calls recorded in Full HD resolution. 32GB of internal memory allows you to store all of your data, whilst 3GB RAM keeps the device speedy. A front-mounted fingerprint sensor protects your handset on the go and the 3000 mAh battery ensures you never miss a call again. The handset also offers 4G connectivity, WiFi, Bluetooth and NFC technology.